Visit Churchill War Rooms, part of Imperial War Museums, to discover the original Cabinet War Rooms, the underground headquarters that sheltered Churchill and his wartime government during the Blitz. Explore the historic rooms that once buzzed with strategies and secrets, and also visit the interactive Churchill Museum. Churchill War Rooms is open daily 9.30am – 6pm (except 24, 25 December). 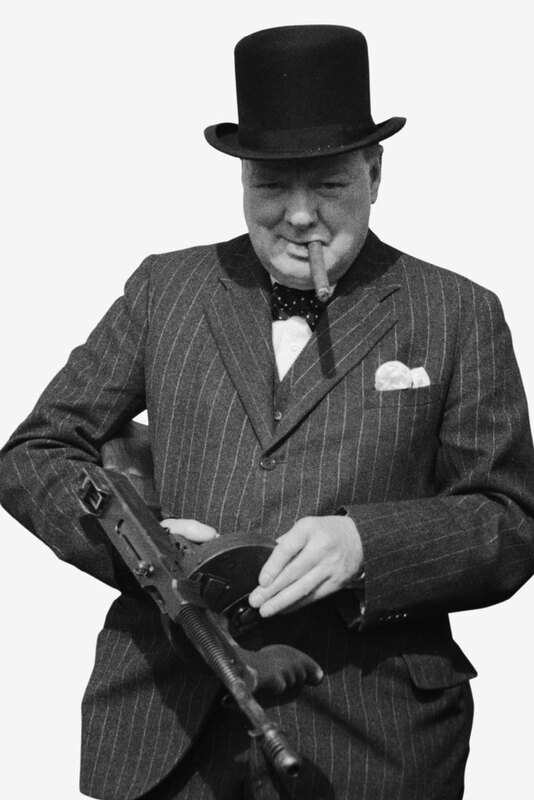 The Prime Minister Winston Churchill inspects a ‘Tommy gun’ while visiting coastal defence positions near Hartlepool, 31 July 1940.